You’re going to love our Banana Mango Hemp Oil Cartridges. Sweet, smooth, and creamy – these pre-filled vape cartridges have a flavor profile similar to that of a freshly cut banana blended into a mango smoothie. You won’t find any additives here – instead, you’ll get 500 mg of full spectrum hemp oil rich in naturally occurring CBD and other natural phyto-cannabinoids. 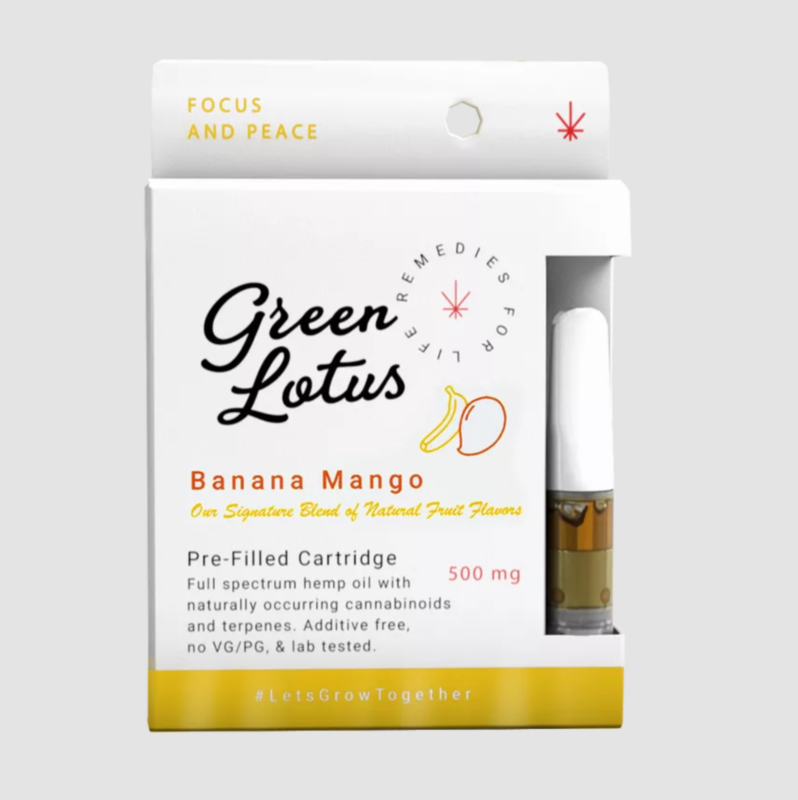 Green Lotus cartridges are great for focus, overall well-being and can be taken at any time of day. Kickstart any part of your day with the refreshing, yet calming sensation of Banana Mango CBD Hemp Oil Cartridges.